If the term “header bidding” rings any bells for you, chances are it’s because we use header bidding technology here at The Moneytizer. Header bidding has grown significantly in programmatic over the past year or so, and will continue to grow in 2019. Let’s take a look at header bidding and understand this growing technology better. Header bidding is a way to sell ad space that offers publishers a new way to get the most revenue possible from their ad inventory. Publishers can offer their ad space to many different advertisers at once, allowing advertisers to competitively bid on a publisher’s ad space. When many advertisers bid simultaneously, the price of a publisher’s ad space often increases with the amount of competition. This is significantly different from the old waterfall method. 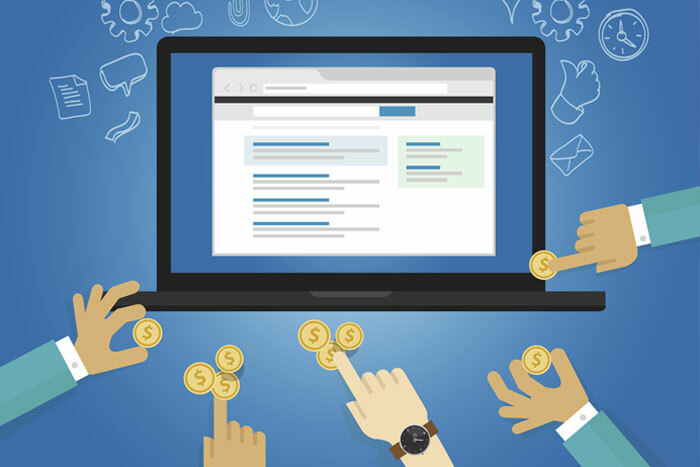 Under that method, publishers would offer one ad slot to one ad network or exchange at a high price. If that network doesn’t want it, the slot moves to the next and then the next until it is sold. As the slot moves farther down the list, the CPM price decreases, meaning less income for the publisher. Header bidding offers publishers a better chance of getting higher CPM prices, and therefore more revenue, while advertisers have access to better quality impressions and data. As more websites use header bidding to fill their ad slots, supply path optimization (SPO) has grown, as well. In SPO, unnecessary middlemen and middle steps are removed, making the supply chain simpler and more efficient. In early 2018, standard ad formats accounted for 90% of header bidding formats. More recently, though, those have expanded to include video and high-impact formats, making publishers adapt to prepare to accept new formats or risk being left behind as header bidding expanded. In-app and video header bidding currently have the most room to grow in programmatic. Standard display ads are the most common ads filled through header bidding, but in-app and video ads are still less common. It’s important to remember that header bidding is evolving, just like other advertising trends and technologies. At The Moneytizer, we use header bidding technology to ensure that publishers of all sizes can access complex technology quickly and easily. We work diligently to ensure our technology is updated and state of the art to provide our customers with the best experience possible. Let us help you increase your revenue today.